We've finally been notified of our placement...well, sorta. While many people received their prefecture AND city placement, all we know is that we will be going to the island of Hokkaido in the very north of Japan! Now, given that this island is located about 30 miles from Russia (therefore, no doubt sharing its lovely subarctic winters) I wasn't exactly sure what to think of this placement. Was I an idiot for not making a placement request when we had up to three? Have I doomed my husband to a year of snow-covered isolation in a box (otherwise known as the Japanese apartment)? Will I have to walk up hill both ways in the snow to get to my school or schools? 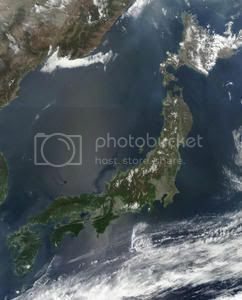 Oh, and did I mention that Hokkaido makes up one-fifth of Japan's land mass with only 5% of the population residing there (it's referred to as "the last frontier of Japan")? Is this good or bad? Turning to my most knowledgeable friends in this situation, Google, Lonely Planet and the JET Forums, I've come to find out that Hokkaido is actually quite the tourist destination as it has the country's best skiing, the biggest national parks, and the most natural hot-springs resorts. And that's before even mentioning the great Sapporo Snow and Ice Festival which is most famous for its huge and elaborate ice sculptures. Perhaps this won't be such a bad gig afterall! There's our island to the north, in all of its snow-covered glory! Still no word yet on where we've been placed. I've heard of a JET who was placed on a Japanese island that was closer to Taiwan. The only way to get to any of the main islands was by a $300 52-hour boat ride. I'm hoping for a little more luck. Along with any new life-changing event usually comes A.) money, B.) gifts, and/or C.) a settlement. Fortunately for me, I've been receiving congratulatory gifts from a few of my most thoughtful friends! First, packing and receiving from the University called to inform me that I had received a "questionable package" and needed to pick it up immediately. 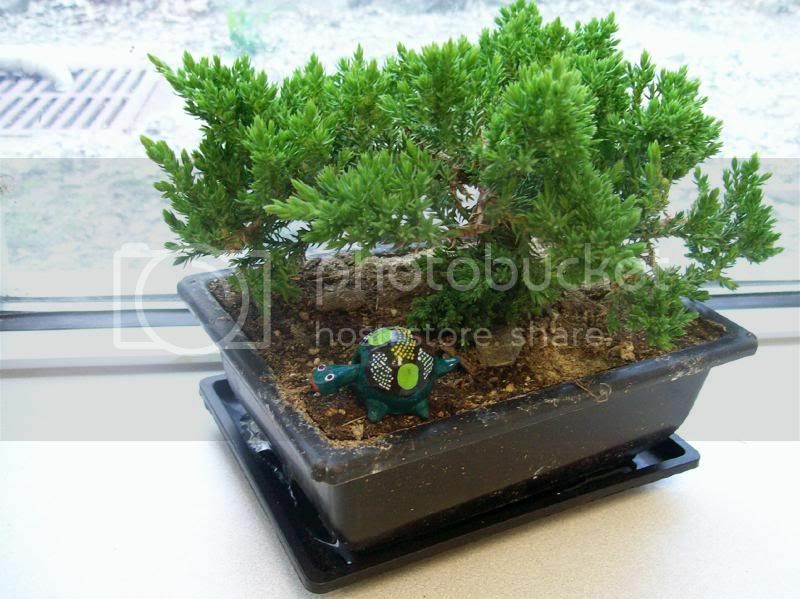 Holding back the urge to say, "Ahh, must be that shipment of anthrax I ordered," I was delighted to later find out my excellent amiga, Morgan, thoughtfully had a bonsai shipped to me (turtle placed for scale)! 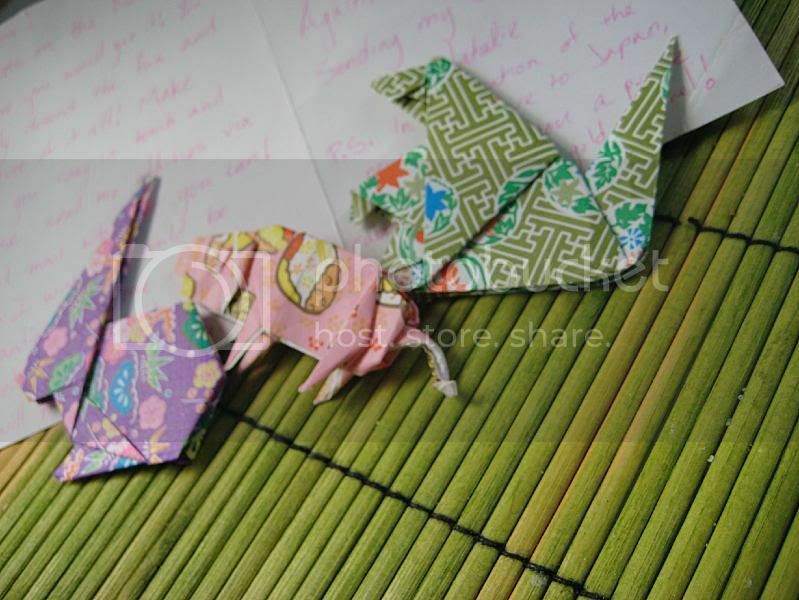 Next, a wonderful card and happy, handmade oragami from Natalie out in California arrived in the mail (ahem, yes, that IS a bunny, pig, and squirrel, thank you very much)! Thank you, gals...or, I guess now is the time to say "domo arigato!"